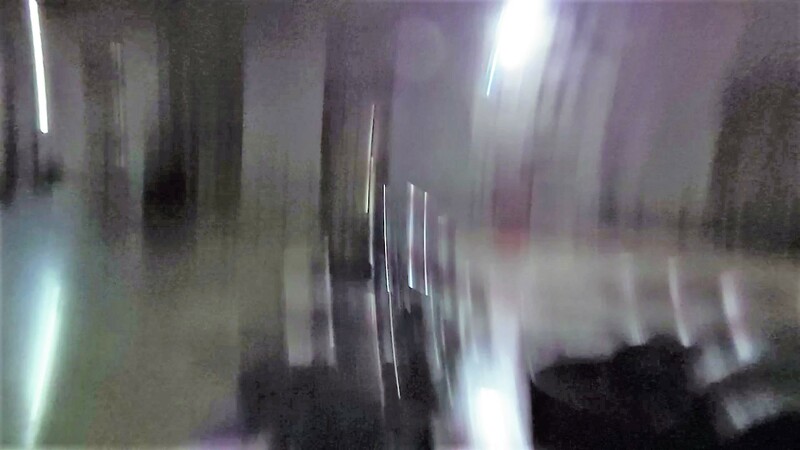 After the Formula One event, I arranged another “fun” session with my colleague Nick after work on Tuesday evening. Normally on a Tuesday evening there are between four and six drivers but, on this occasion, being half-term as well, there were 9 drivers on track in each session. In session one, things on track got very busy, very quickly, and we were soon faced with the need to overtake the back-markers. Now this isn’t normally a big issue; you follow them for a lap or two, judge where you feel you are quickest and study the lines that they take through the corners. However, the drivers that were on track fell into two categories; those that were consistently on the racing line, or those that were so erratic, that you had no idea where they were going next! 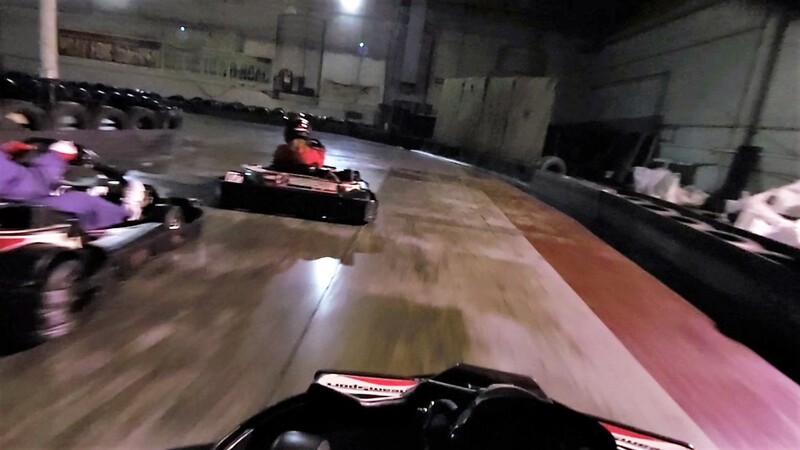 One of the occasions that I did gain an advantage from another driver was at the opposite hairpin – I was lining up Nick for the pass when we came across another back-marker. I took to the outside, whilst Nick decided to squeeze up the inside. Remarkably, I came out of the corner ahead of both of them and into a little bit of clear air. One lap from the end, Nick “decided” to ram me from behind, causing me to jolt suddenly and jarring my lower back quite badly. Fortunately, I could limp back to the pits and rest up for 30 minutes before the second session. Unfortunately for me, it was going to be even worse in the next session! I managed to top the lap times in this session with a 25.547s lap, so I was fairly pleased with my performance, but I was still feeling the strain in my back! The second session started as the first, dodging back markers and trying to get enough clear air to set a fast lap time. Just about halfway through the second session, I was caught in another incident, whilst rounding the corner into the bridge section. 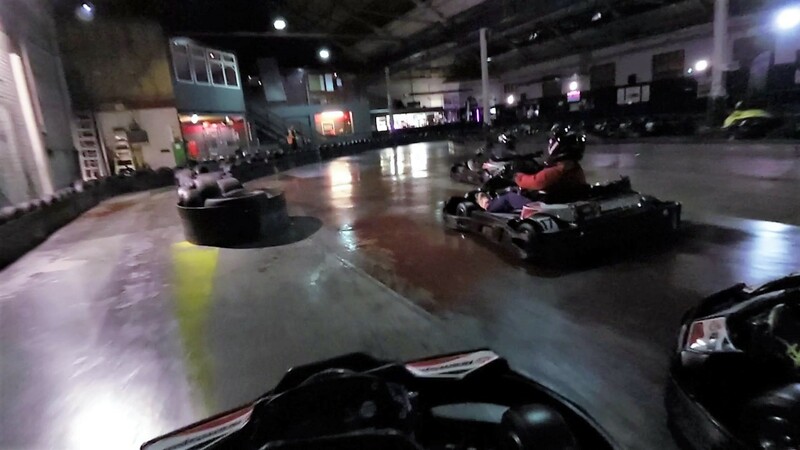 I thought I was fairly well in front of the kart behind me, so took my usual line through the corner in order to maintain the most momentum to get up the ramp. 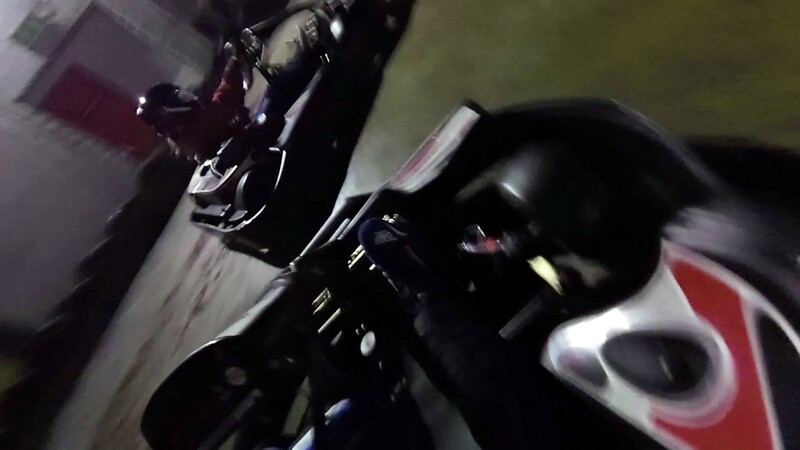 As I was almost through the turn and trying to accelerate away, the driver behind hit me at full speed, lifted my kart into the air and my body bent double sideways (watch the video (starts at about 13:10) below to see what I mean). I didn’t know what to do: Do I carry on regardless? Do I get to the pits and check myself out? Do I stop here? I half-stopped, and, fortunately, my decision was made for me with the red flag coming out. This was one of the biggest crashes that I have been in, and it did really shake me up. 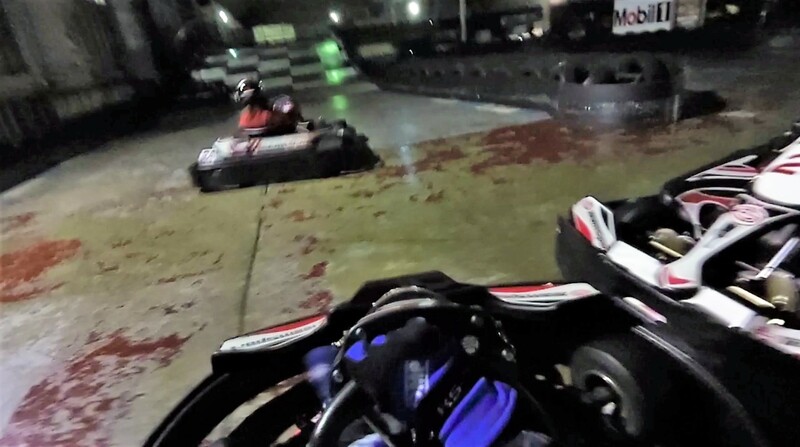 Although one of my fastest lap times followed the crash, I almost felt like I was on auto-pilot. I was slightly disappointed to come second, but at least I made it through the evening in one piece! My fastest lap in this session was a 25.584s, so slightly slower than the first session, but still respectable at this time of day. I have no plans for karting until the end of November at the moment (I’m sure I will find myself a couple of drives in the meantime), but if you have any suggestions, or know of any races, please comment below and I will see what I can do! Racing for a great cause, but the charity stops when the visor goes down!